About to leave Spain for a new life with her partner Lorenzo, Julieta seems to be a happy and contented woman. However, a chance meeting with a childhood friend of her long-lost daughter Antía provides shocking news: Antía is still alive! In a state of anguish, Julieta abandons her relationship and her plans for the future, and begins to journal the tragic circumstances surrounding the disappearance of her daughter. 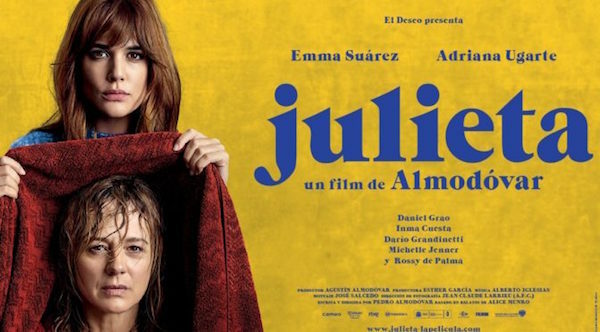 Julieta is a captivating tale of loss, with Suárez and Uguarte playing older and younger versions of the title character. Review (Telegraph): here, considers the film in the wider context of the Cannes film festival. while an english sub-title Trailer can be seen below…..